The Kenmore Inn has a simple philosophy: serve fresh, local ingredients, with informed service, in a comfortable setting. 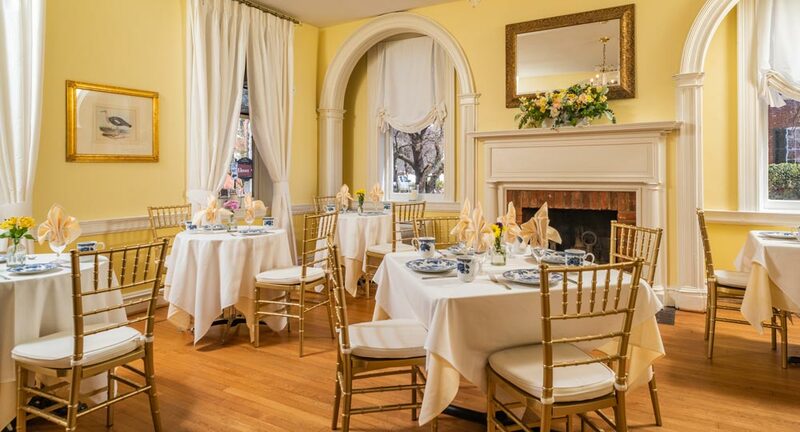 Our dining rooms reflect the history of our Inn with modern renovations. A menu is what defines a restaurant and our menu reflects our belief that good food comes from the freshest ingredients. It will change often, sometimes daily, with the availability of local produce. Tucked within the Kenmore, you will find the Coppertop Bar. We offer devine cocktails alongside defiant bar food. Pick from our seasonal drink menu or if you’re feeling lucky, Bartender’s Choice. Find wallet-friendly options during cocktail hour, 5:00-6:30pm. Pick from our seasonal drink menu or if you’re feeling lucky, Bartender’s Choice. Find wallet-friendly options during cocktail hour, 4:30-6:30pm. The Kenmore is the perfect brunch spot in Fredericksburg, Virginia, with plenty of seating options both inside and out. Spend a calm Sunday mid-morning out on our patio or inside where the smells of coffee brewing and food being made linger, with friends, amazing food, and a mimosa!